Another thing that rang loudly for me on this visit to Rome is just how influential the Sun was for the ancient people. My research over the last five years has made me keenly aware of the importance of astrology to the ancients. It informed their entire worldview from birth and the casting of the horoscope to death when they met their fates. The descent of the soul into the body moved through the Zodiac houses, and its ascent to the stellar afterlife too. And in the midst of it all is the Sun, running its course along the ecliptic through all the houses. The master of all. The Sun was deified everywhere, from Aten in Egypt to Apollo in Greece to Mithras in Rome. Even Jesus took on solar qualities in early Catholicism, and maybe even the virgin Mary too. The Sun is the creator, the giver of life, without which we cannot live. The Sun is conceived by the ancients to be sovereign power and judge because he ruled the sky by day, and at night when he sank below the horizon, he ruled the underworld. Because he is light and light-giver, he is perceived to be the illuminator, the source of wisdom and enlightenment. Sol Invictus, the Unconquerable Sun, is the ultimate god for the ancients. In the first photo, Sol Invictus himself is carved into this dedication stone. Notice the moon and stars and the face of the priest who made the offering in fulfillment of a vow to safeguard the emperors. This is from the late second century in Rome. 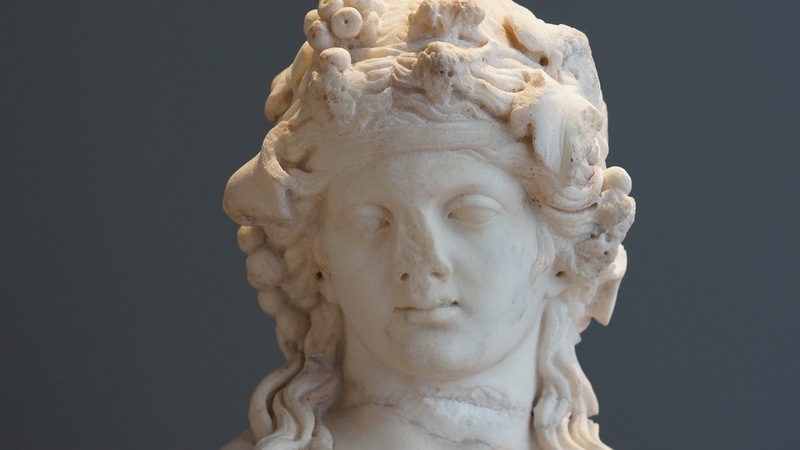 Second is beautiful Isis, whose crown is the sun disk with crescent moon and horns. This statue is from the late second century, from Villa Grandi. 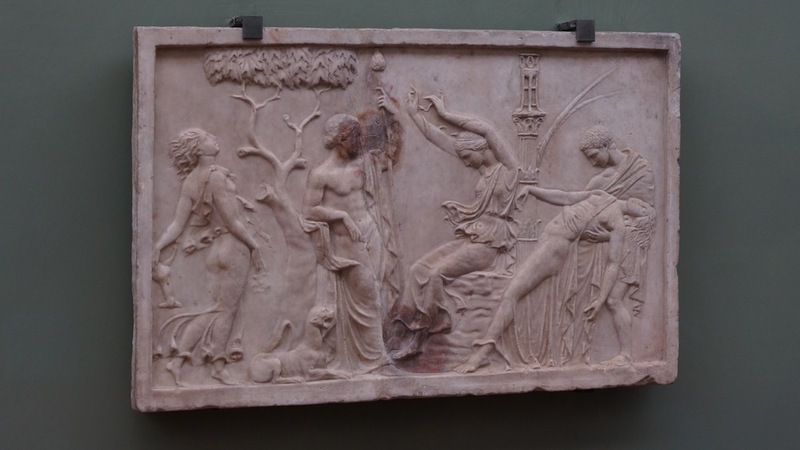 It was displayed at the National Museum at Rome by the Diocletian Baths. The third, one of the few surviving inscriptions from Egypt containing the outlawed name of the solar deity Aten. It is from Karnak, but housed now in the Egyptian Museum in Turin. 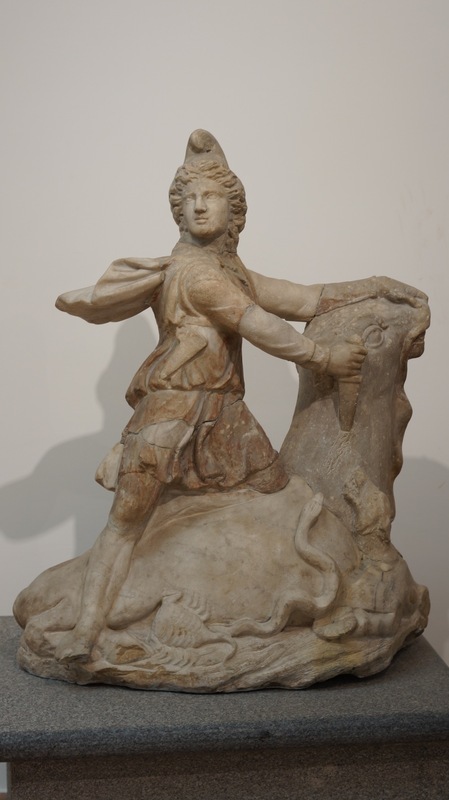 Then fourth, we have Mithras, the Unconquerable Sun, slaying the bull. This sculpture comes from the fourth century and was displayed at the National Museum at Rome by the Diocletian Baths. 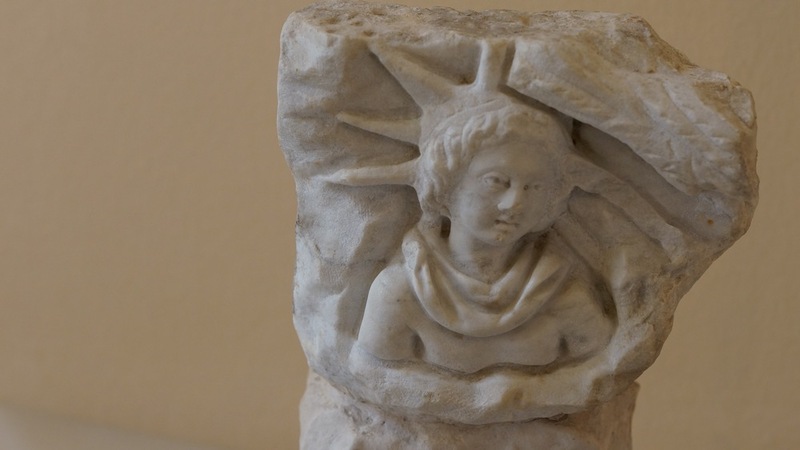 Fifth is a lovely craved sculpture of Mithras the Sun god from Ostia Antica, found in the Mithraeum of Planta Pedis, late second century. Sixth, notice the crowning of Mary Queen of Heaven. Behind smiles the Sun. This was in a special exhibit in Florence at the Academy. Even in Christianity, the power of the Sun God shines through. 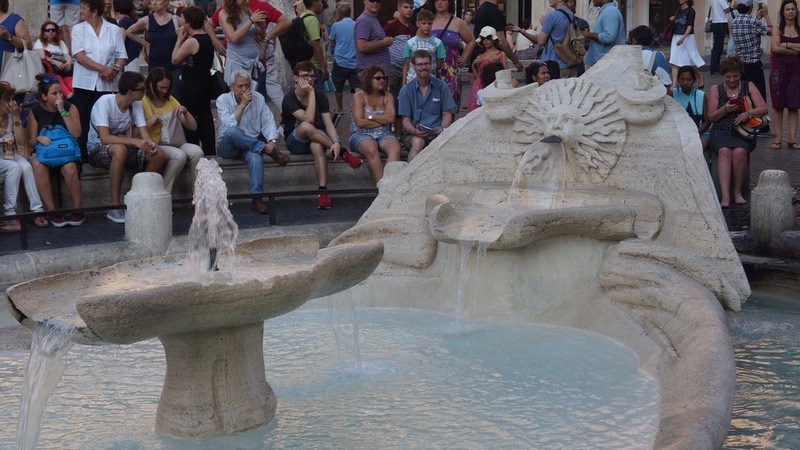 Seventh, what about the Bernini Fountain in front of the Spanish Steps? Surely this is reminiscent of the solar bark the Egyptian's believed the soul took to ascend through the skies and ride through the underworld! It is even placed at the bottom of a staircase, like the stairway to heaven. Finally, Michelangelo's Moses whose radiant face of "rays" (a luminous transformation following his interaction with YHWH) was mistranslated as "horns" in the Vulgate. Why the mistake? The Hebrew "keren" can mean either "radiated light" or "grew horns".